The Florida man accused of sending pipe bombs to prominent critics of President Donald Trump was indicted Friday on charges carrying a potential penalty of life in prison. Federal prosecutors contend he should remain jailed until trial, given the magnitude of the charges and the strong evidence against him. 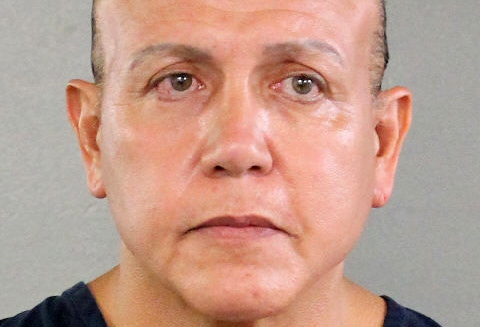 Pipe bomb suspect Cesar Sayoc searched for addresses of his targets online and had photos of many of them on his cellphone, including one of Michelle Obama's driver's license, federal prosecutors said in a letter outlining more evidence against him.